Pattern recognition receptors (PRRs) play important roles in innate immunity system and trigger the specific pathogen recognition by detecting the pathogen-associated molecular patterns. The main four PRRs components including Toll-like receptors (TLRs), RIG-I-like receptors (RLRs), NOD-like receptors (NLRs) and C-type lectin receptors (CLRs) were surveyed in the five genomes of non-teleost ray-finned fishes (NTR) including bichir (Polypterus senegalus), American paddlefish (Polyodon spathula), alligator gar (Atractosteus spatula), spotted gar (Lepisosteus oculatus) and bowfin (Amia calva), representing all the four major basal groups of ray-finned fishes. The result indicates that all the four PRRs components have been well established in these NTR fishes. In the RLR-MAVS signal pathway, which detects intracellular RNA ligands to induce production of type I interferons (IFNs), the MAVS was lost in bichir particularly. 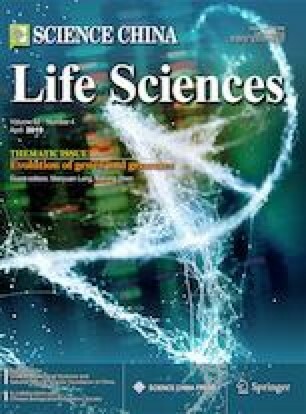 Also, the essential genes of recognition of Lipopolysaccharide (LPS) commonly in mammals like MD2, LY96 and LBP could not be identified in NTR fishes. It is speculated that TLR4 in NTR fishes may act as a cooperator with other PRRs and has a different pathway of recognizing LPS compared with that in mammals. In addition, we provide a survey of NLR and CLR in NTR fishes. The CLRs results suggest that Group V receptors are absent in fishes and Group II and VI receptors are well established in the early vertebrate evolution. Our comprehensive research of PRRs involving NTR fishes provides a new insight into PRR evolution in primitive vertebrate. Supplementary material is available for this article at https://doi.org/10.1007/s11427-019-9481-8 and is accessible for authorized users. This work was supported by the National Natural Science Foundation of China (31372190).